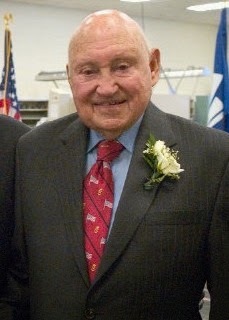 Founder of Chick-fil-A, arguably the finest and fastest chicken sandwich, Truett Cathy died on Monday September 8th, 2014. From many aspects readers of this blog can learn a great deal from this man. Starting from nothing as a Depression era child, Truett founded Chick-fil-A which is now one of America's largest restaurant chains grossing over $5.5B a year in sales and consistently laser-focused on quality. Muhtar Kent, CEO of Coca-Cola, had this to say about Truett. He was "an irrepressible optimist…he saw work as a privilege and made a point of enjoying it…he understood, like few others, what it meant to be a steward of a great brand. If a brand is a promise, then a great brand is a promise kept. Truett kept his promises." For those readers who wish to Invest Like A Farmer, I encourage you to read up on Truett Cathy. His formation of a brand, his devotion to service, and probably the greatest compliment, his faith in God and his fellow man were remarkable. In terms of lasting influence in American business, there are few better.